We like to bring you stories from BetterPoints users who are using the app to make positive changes to their lives, and earning rewards while they do so. Recently I heard from Vanessa who is in the ‘Choose How You Move’ programme in Leicestershire. Vanessa was previously inactive and was prompted to start using BetterPoints by her uncle. She started using the app in October when she got her puppy Raven, and she has earned almost 4,000 BetterPoints already. 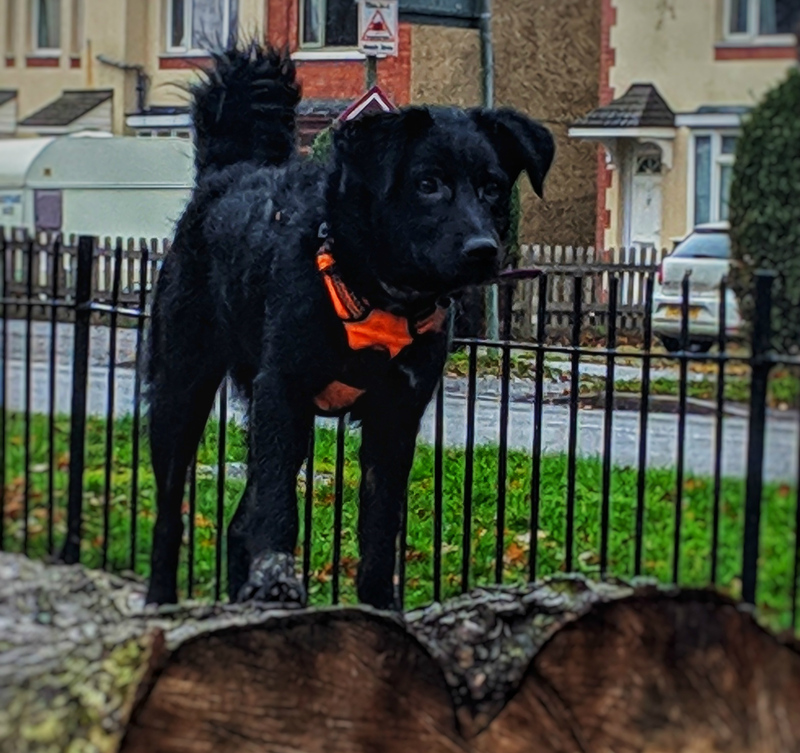 "Before BetterPoints came along I wasn’t active at all and now I have 3 good walks a day with my puppy Raven. Every week it inspires me to be more physically active and I try to beat my personal best. We also asked Vanessa if she has any health issues that have been helped by using the BetterPoints app? Yes, I've got a bad back and it feels so much better when I'm walking, even if later on I struggle. I also suffer with depression and anxiety. My depression has improved as I'm spending more time being active instead of moping about. Getting out on dog walks has really helped my anxiety too, people stop to talk about the dog which I'm finding easier every day to talk about her and interact with people rather than dread it. Using the app makes me feel determined to keep moving. Other family members are using it daily, my mum uses it with me and I'm trying to convince my fiancé to download it too. I'm very competitive and always want to be better than I was yesterday, the rewards only make me more determined. Big thanks to Vanessa for sharing her user journey with the BetterPoints community. It is pleasing to see that our app and her lovely dog Raven are helping her get out in the fresh air and the knock-on effect it's having on her health and well-being. We are very proud to work for a company that wants to make a difference to people's lives by making healthy habits become part of the norm.